Air Flow is proud to be involved in the first French industrial pilot program launched by the Siaap and the Suez Group for wastewater reuse. 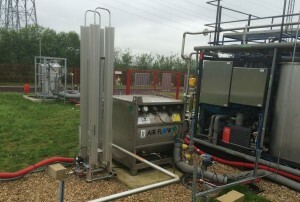 The Suez Group has designed a demonstrator water-treatment plant – the BioGNVAL at Valenton, France that generates biofuel and carbon dioxide from urban wastewater. The produced gas has a purity of more than 99% and is stored in cryogenic tanks provided by Air Flow. “Air Flow’s engineering team has developed technically advanced equipment that is perfectly suited for the purpose of the demonstrator” says Nathalie Mosca, Sales Director at Air Flow. 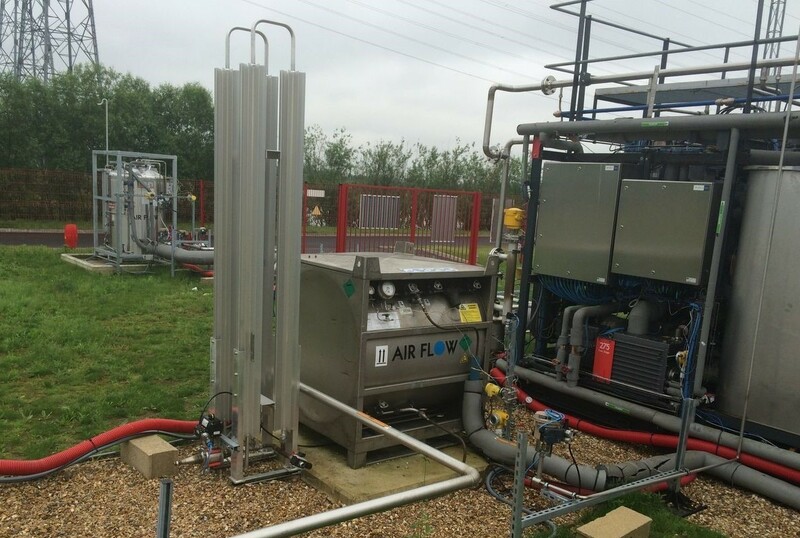 This project demonstrates Air Flow’s engineering expertise to design, develop, manufacture and operate high value-added cryogenic equipment.